Paving the way to the big marketing push for NAB 2013, Apple released today the 8th release of Final Cut Pro X and added once again some significant features. Motion & Compressor join also the party with some updates of their own. The full details after the jump. Final Cut Pro 10.0.8 gets support for Sony’s F5 & F55 cameras with the new XAVC codec and 4K resolution. ProRes Log C footage from ARRI ALEXA are converted on the fly to Rec. 709 color & contrast levels. No more washed footage in the offline editing suite and no more needs to pre-grading them prior to the indigent. This update weight 1.64 GB and requires MacOS X 10.6.8 or later and it is a free download on the Mac AppStore for current users. New customers can purchase Final Cut Pro X for $299.99. This update weight 1.08 GB and requires MacOS X 10.6.8 or later and it is a free download on the Mac AppStore for current users. New customers can purchase Motion for $49.99. 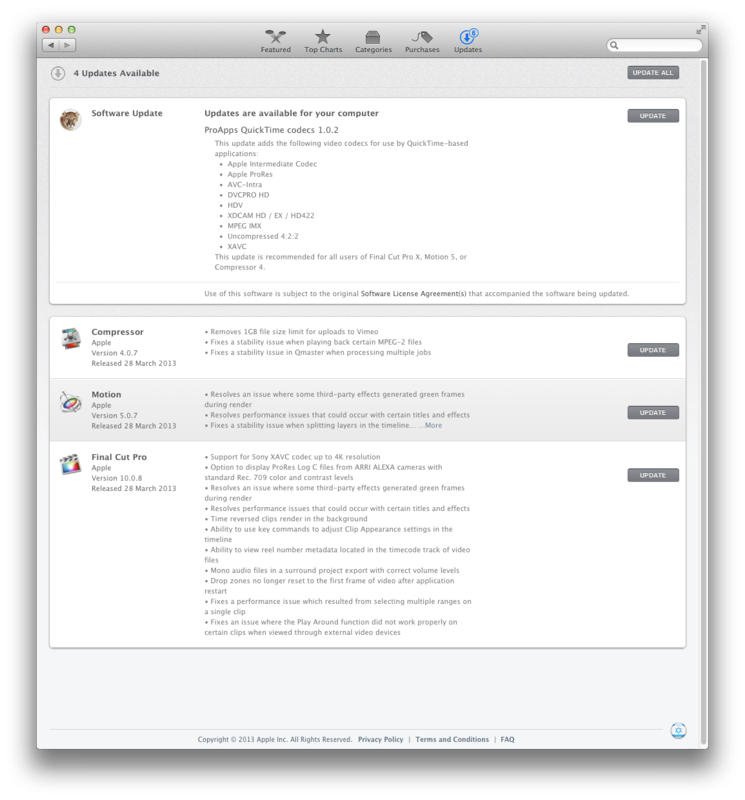 This update requires MacOS X 10.6.8 or later and it is a free download on the Mac AppStore for current users. New customers can purchase Compressor for $49.99. 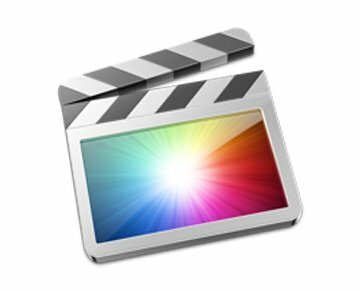 In addition to the updates for the core Final Cut apps, Apple has also released an updated set of ProApps QuickTime Codecs for Final Cut Pro X users: AIC, ProRes, AVC-Intra, DVCPro HD, HDV, XDCAM HD-EX-HD422, MPEG IMX, Uncompressed 4:2:2 & XAVC. This update weight 1.14 MB, requires MacOS X 10.6.8 or later and it is a free download for current users of any pro apps.